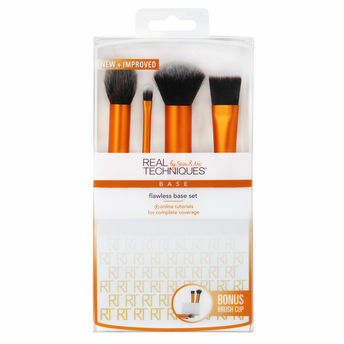 Create a perfect canvas with Real Techniques Flawless Base Set. Contour brush: For delicate application of highlighter or contour product above or below cheekbones. Detailer brush: Precision cut to conceal problem areas. 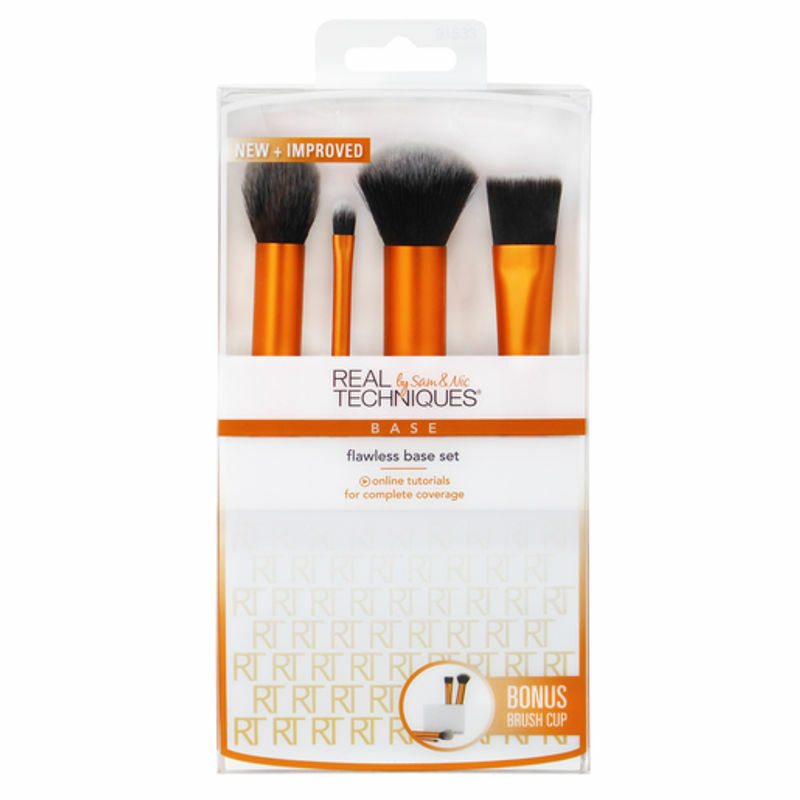 Buffing brush: Ideal for full coverage application of either loose or compact powder foundation. Square foundation brush: Densely packed with a unique cut to build custom coverage with liquid foundation.